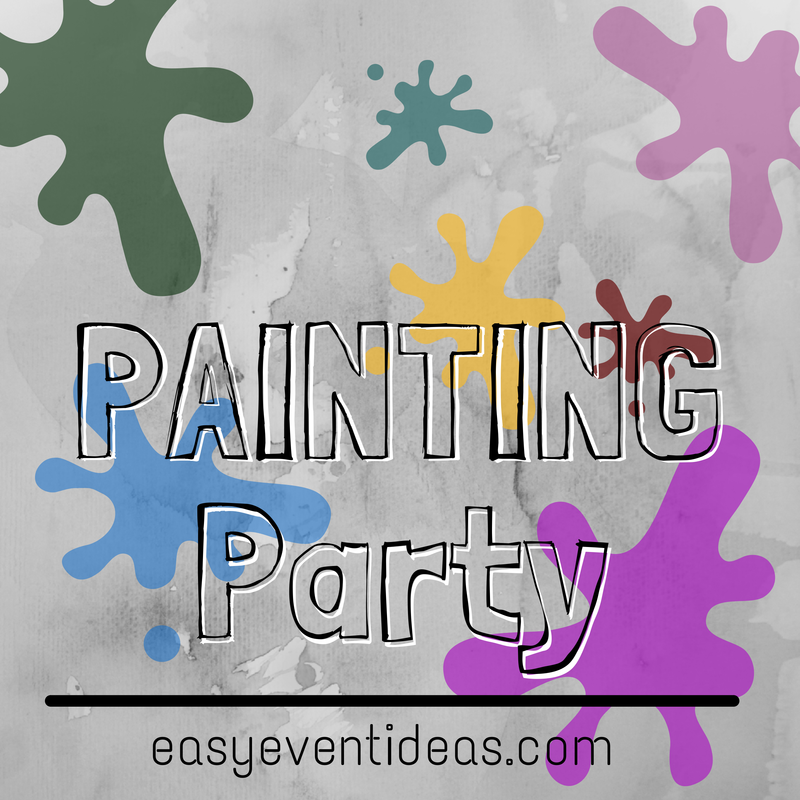 Want something fun to do at your next party? 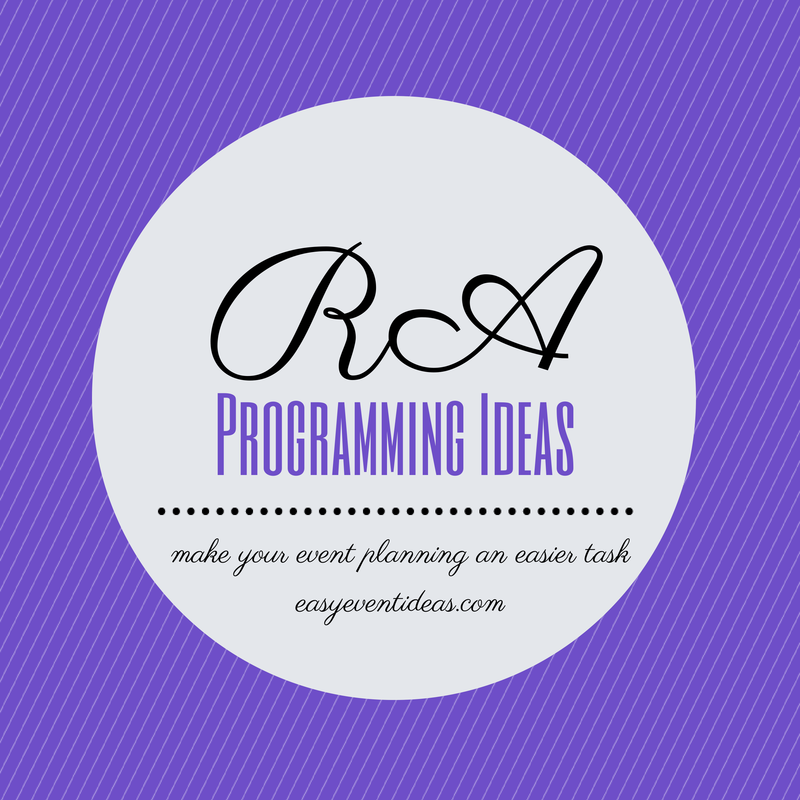 Or for all of the RA’s that read this blog which according to my statistics is a lot, your next floor event! Why not turn it into a trivia night! Set up your venue properly- Make sure that there are a lot of tables and chairs for the groups to come together. Or if you are allowing two people to work together make sure to provide clip boards or a hard surface for people to work on. Decide on a theme- You can make your whole night a themed questions round one 90s movies round two 90s music etc. Or you can just make each round themed: round one Movies, round two sports, round three music etc. If you know your crowd have some fun with them and pick some topics they think they’ll know and them make sure you find hard questions! 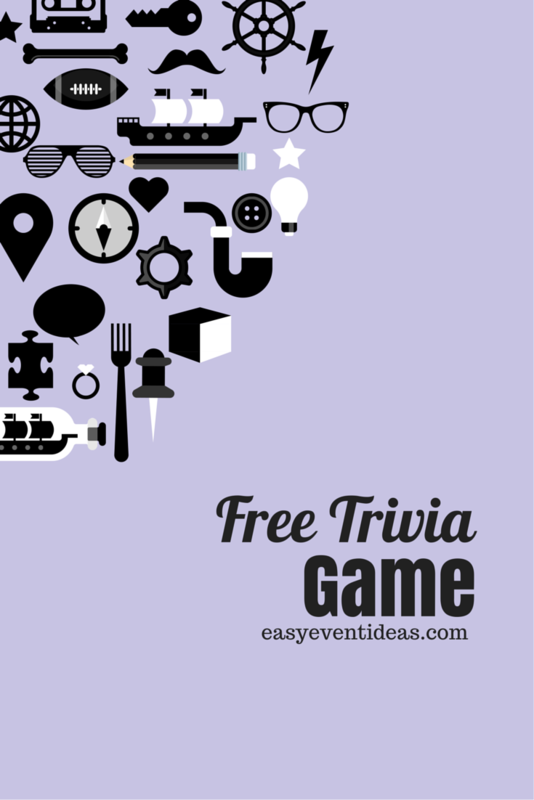 Determine the rules– Trivia nights are fraught with argumentative patrons thinking they have the correct answer. Decide in advance how many people can be on a team, how many points each question is worth, if phones are allowed to even be on during the game, MC has final say on all answers. Make sure these are determined before everyone walks in the door and make sure you let your guests know the rules before you begin. Create good questions– You want questions that will keep your audience engaged but also challenge them. Keep them guessing and have fun. I have included a selection of trivia questions below to help you out! Keep score– This is isn’t to hard as you can see below on the sheets I have provided each team can turn their score card in after each round. The MC can grade each one and keep them in a pile by team name or record each rounds score on a separate piece of paper. Keep a time limit– Each round should be set at a certain amount of time and a certain amount of time should be provided after each question. At the end of each round if you wish you can ask the audience if they’d like a question repeated. Who will MC– Whether the MC is the organizer or not one two people should be able to see the questions ahead of time and that’s it. The MC should be trustworthy enough not to let it slip and decisive enough to be able to tell contestants no you didn’t get it right what I say goes! The MC should also have a strong voice and wit to improvise during lulls. Set up the game– Set up the game so everyone is prepared for what will follow. Announce the game structure for example- This game will be played in 5 rounds of 10 questions each. Each question is worth 1 point and one round will be a musical round where I will play a song and you will have to guess the name of the song etc. 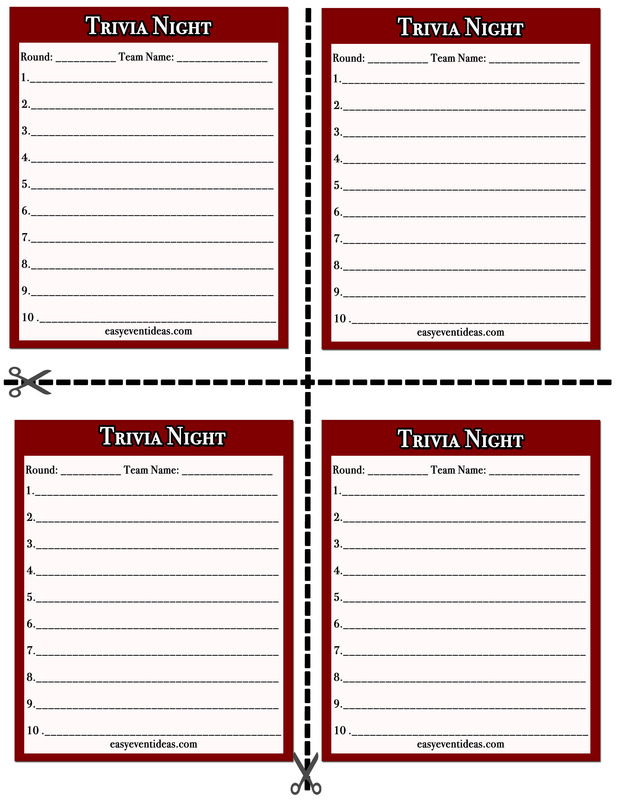 Below is sample trivia night sheets that you can download and print for free! Who invented the gasoline-powered automobile? Karl Benz or Gottlieb Daimler are both credited. In 1990 two major league greats made baseball history by becoming the first father-son duo to hit back-to-back homers in an MLB game. Ken Griffey Sr. and Ken Griffey Jr.
Are you having a movie theme party with your friends or for your floor (attention RA’s). Well there is a little tool we use in the campus programming world I think you should know about! But first the basics. When we screen movies on a campus we have to get the film rights. That’s the case whenever you show films to a large group of people. The exceptions to this rule are if you are showing a film that is already in the public domain and is free to screen or if you are showing a film just to some of your friends. You don’t need to get the rights if you are screening a film just for your floor but if you open it up to the general public or your whole building to attend that’s when we need to start talking about film rights! We use two different companies to obtain our film rights Swank and Criterion. The reason I wanted to point these two companies out to you is because not only do you need them if you need to obtain the rights to films, but they are also a great programming tool! They have programming calendars which give you themed movies for each month of the year! Screening Godzilla and handing out green slime, green kool-aid, and to promote fill a high profile area with tiny fake lizards with the movie information. Screening Frozen and having everyone entering cut out and decorate their own paper snowflake and giving out treats like popsicles and frozen yogurt. Screening the Lego Movie and having guests bring a toy to be given to charity and also have a challenge to see who can build their lego contraption with out directions the fastest. These companies also work with the K-12 system so they also have programming ideas for kids! As you can see above a lot of the programming ideas they put together for college students would work for kids too, both the Lego Movie and Frozen are kid favorites right now and lets face it college students are just big kids at heart. 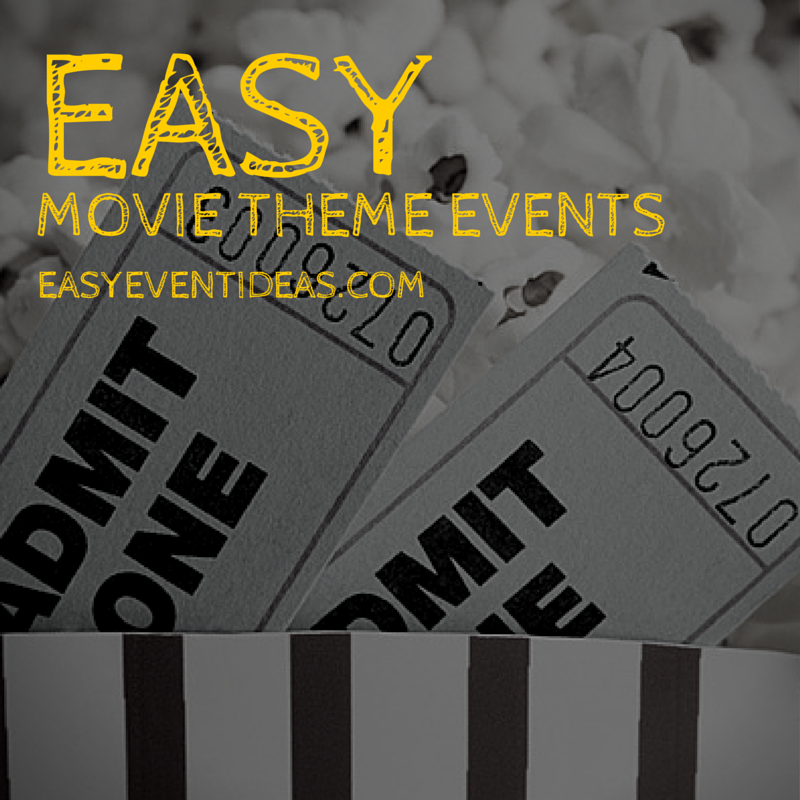 Another great resource for finding out how to theme your event to a movie is just searching on pintrest. People are proud to show of their creative ideas they’ve put together to themed event. 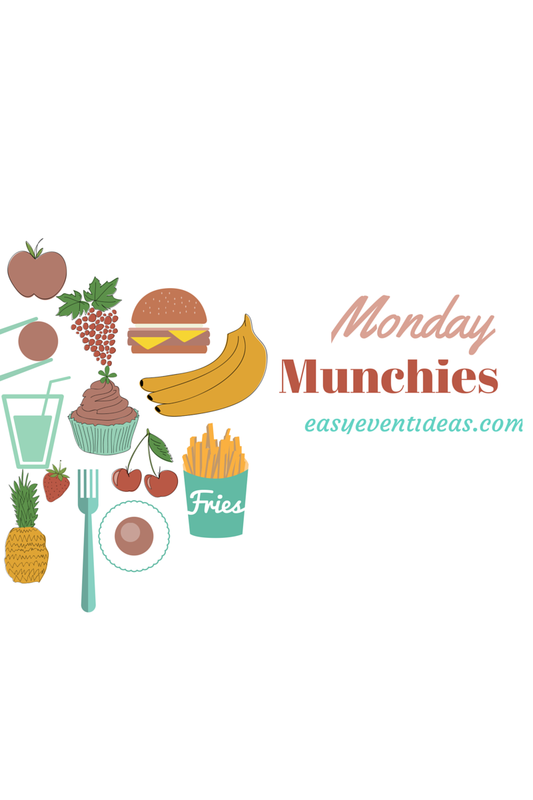 And hey if you’re really in a bind and need some help planning your themed movie night event write me at easyeventideas@gmail.com not only do I plan events in the DC, VA, MD area I am also available to customize an event for you remotely and give you all of the plans and materials to do it yourself! I have noticed lately that the most viewed posts on my blog are all of the ones I’ve been posting for the RA’s out there. This is not a surprise since it’s RA training time around the US. I know at my institution they have been spending the entire week in training and planning mode. So to make it easier for you RA’s here is a collection of some of your favorite posts. Click the image for information! Need to de-stress? 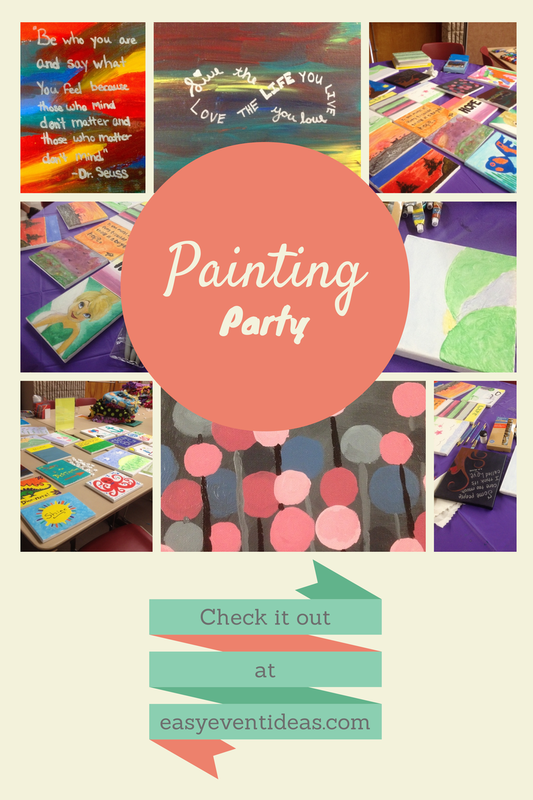 Then have a painting party! 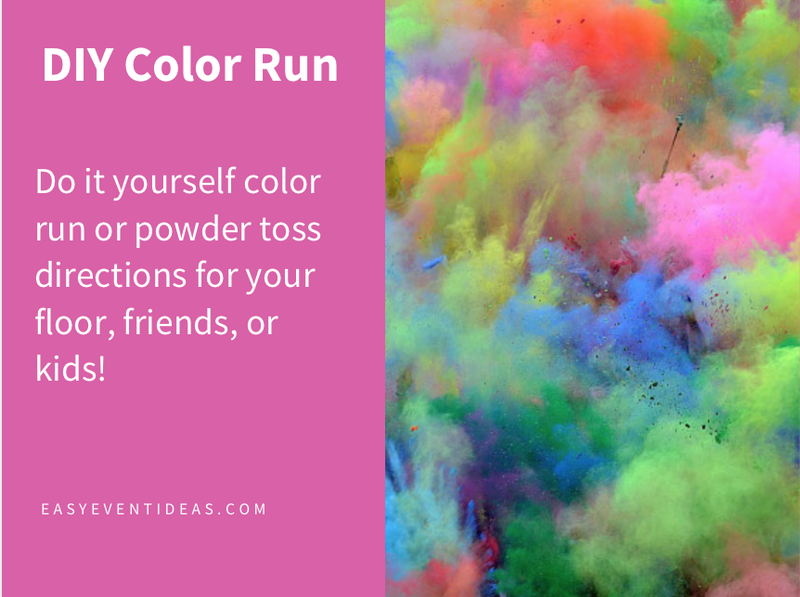 It’s great for a group of friends or a residence hall floor! It doesn’t matter if you’re good at painting or not. There are tons of methods of painting that require no talent at all. Want to see? 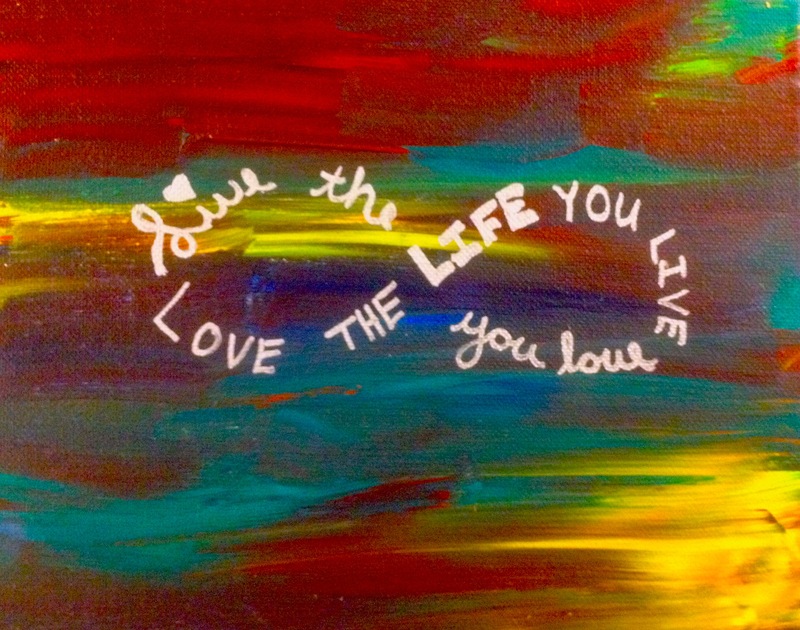 See this image all I did to create it was put dabs of acrylic paint on the canvas and smear them sideways with a large brush. Then after it dried I wrote this cute quote on top with a Silver Sharpie. I googled a few quotes to write on my images for this party. 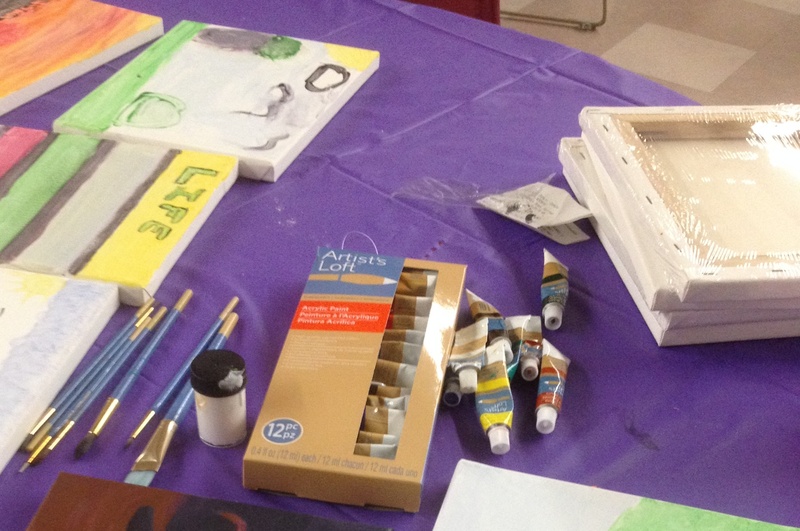 After we were done with our artwork we donated them to a domestic violence shelter instead of keeping them for ourselves. So whether you are donating your images or keeping them for yourself this is a great easy event that you can throw that doesn’t require to much preparation. All of these items can be found at your local craft store or around your home!